On November 14th, TechGrant Finalist, Axion Technologies, LLC. won the top prize of $50,000 at the first ever Florida Aerospace Capital Forum! Axion Technologies beat out 16 other companies from Florida, as well as some from other parts of the country. 2017 TechGrant Winner, Sensatek Propulsion Technology Inc. took home the second prize of $30,000. The purpose of this event was to broaden the spectrum of early stage Florida-based aerospace companies and entrepreneurs (as well as non-Florida entities with commitment to relocate), while engaging the industry with the Forum investment community, including private equity, venture capital and angel investors. The competition consisted of a panel of judges who reviewed each company’s presentation and supporting materials, and selected the winners. In addition to the cash prize, this competition offered presenting companies an opportunity to engage with the Florida Venture Forum investment community. Both Axion Technologies, LLC and Sensatek Propulsion Technology Inc. are also Entrepreneurial Excellence Program (EEP) Graduates. Florida A&M University was selected to receive a five-year, $16M partnership grant from the National Cancer Institute, a division of National Institutes of Health, to establish a center that will address cancer health equity in Black and Latino populations, while also providing cancer research, education and training experiences. 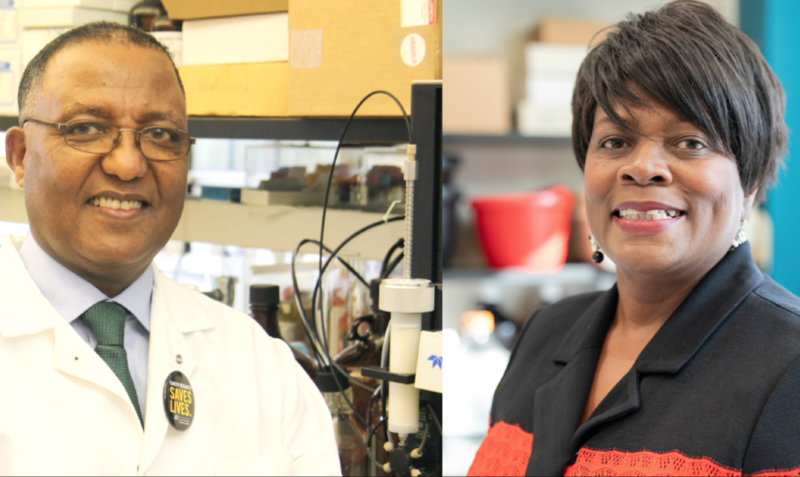 This grant is being led by FAMU scientists Dr. R. Renee Reams, and Dr. Ken Redda, and is the first of its kind that allows parallel collaboration from multiple principal investigators from other universities. On November 29th, the Chamber of Commerce is celebrating National Entrepreneur Month with their 2018 Entrepreneurial Forum. This event will include breakfast, networking, and a keynote presentation from Leon County R&D Authority Board of Governor, Keith Bowers, Regional Director of the Florida Small Business Development Center at FAMU. Additionally, the audience will learn about three new ventures coming out of the Jim Moran School of Entrepreneurship. The Tallahassee-Leon County Office of Economic Vitality (OEV) recently presented its plan to attract businesses, jobs and further economic development through its status as a higher-education center and through communities like Innovation Park. OEV is pitching Tallahassee as the “Magnetics Capital of the World”, and has hired Montreal-based company, Research on Investments to identify companies that could move or expand here. 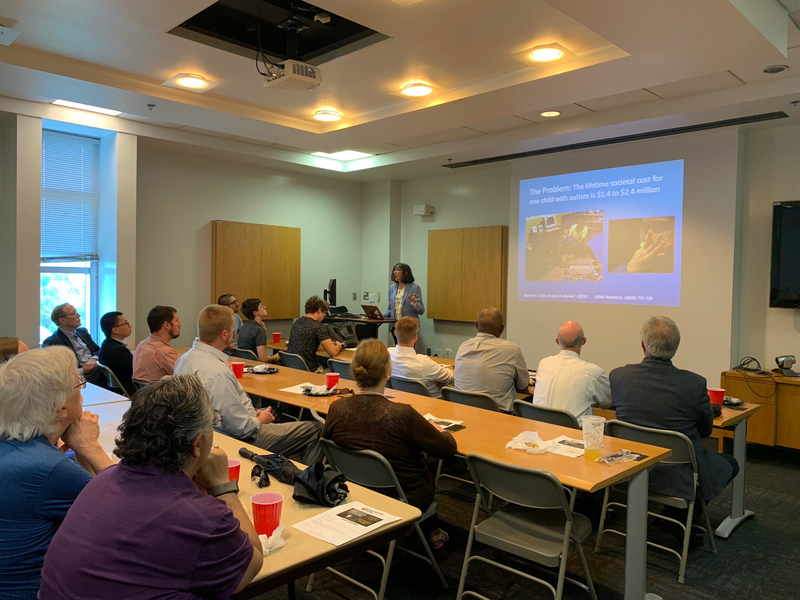 Innovation Park’s last TechTopics of the year was hosted on November 7th at the College of Engineering, and featured some very exciting companies that formed from research that was developed at Florida State University. KynderMed and Autism Navigator both presented the story of their research, and how they have commercialized it into viable products that are in the marketplace, or in the process of going to market. Our next TechTopics will take place next March. Be on the lookout for future updates! 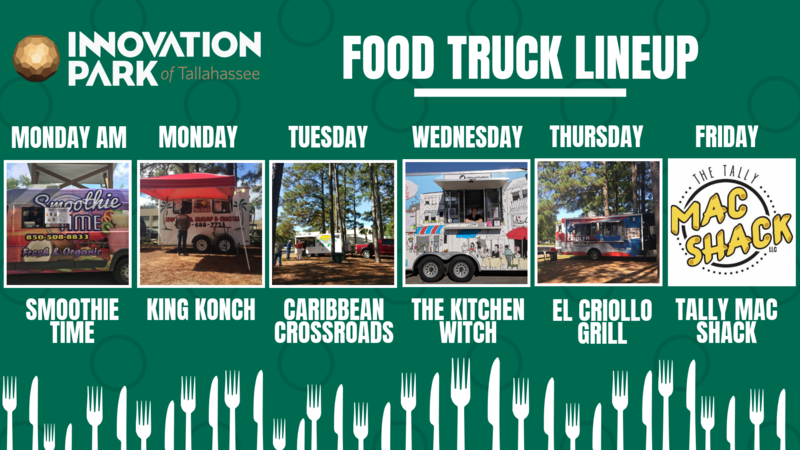 With the weather getting nicer, don’t forget to check out the food trucks we have in the Park! Food trucks are here every Monday through Friday for lunch from 11am-2pm in front of Shaw. Additionally, we have a breakfast food truck on Mondays from 8am-10am! Smoothie time has an updated menu, and they can take orders by phone if you’re in a rush.